Spaceship Earth Could Close For Over Two Years For Refurbishment! 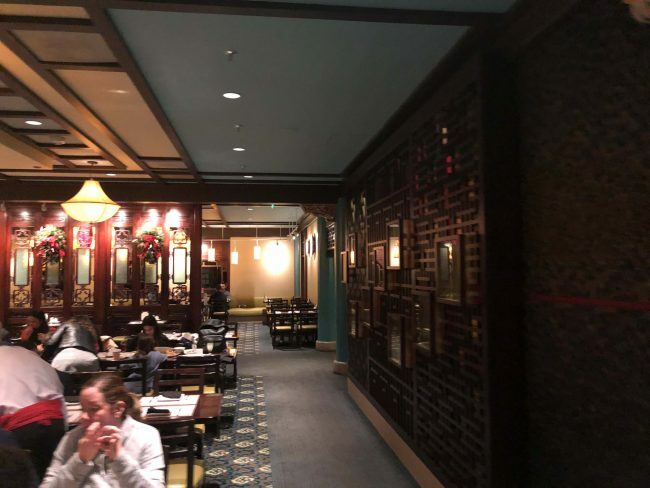 Hello all, so I finally got around to trying out the Nine Dragon’s Restaurant in the China section of Epcot’s World Showcase and I can’t wait to share my experience with you guys! 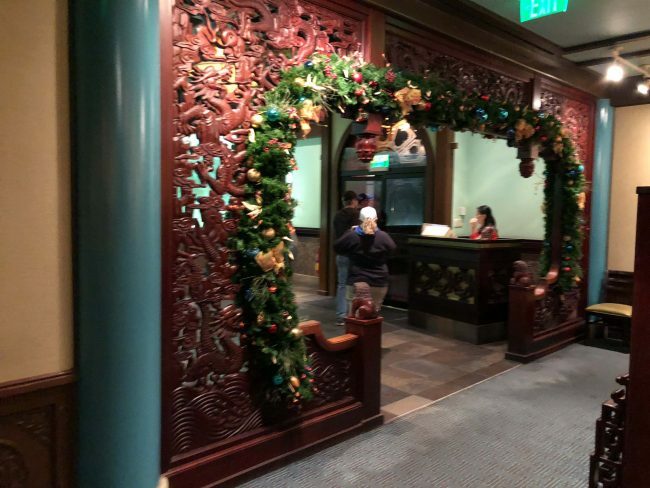 This is the hallway to the entrance, make sure to make a reservation before dining at Nine Dragons! 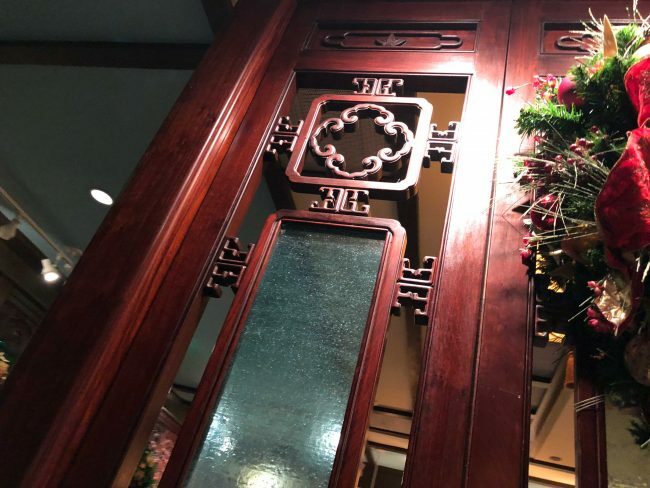 Delight your senses in Cantonese, Mongolian, Szechuan, Hunan and Kiangche-style specialties under the soft glow of Chinese lamps. 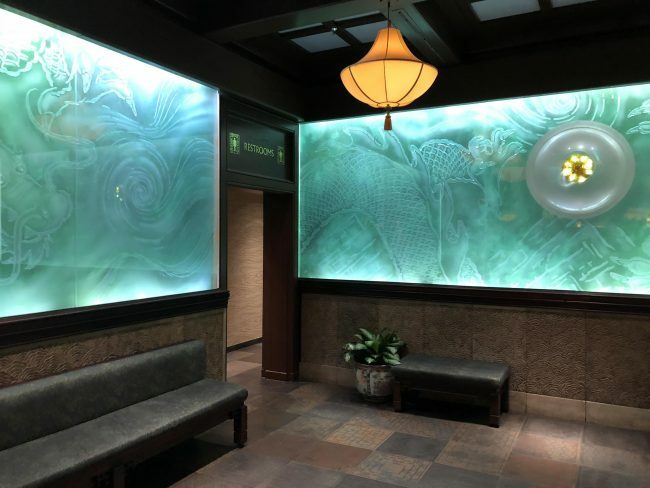 As you step into Nine Dragons you are greeted by stunning glass etchings of 2 dragons chasing an enchanting glowing pearl, be sure to take an up close look! 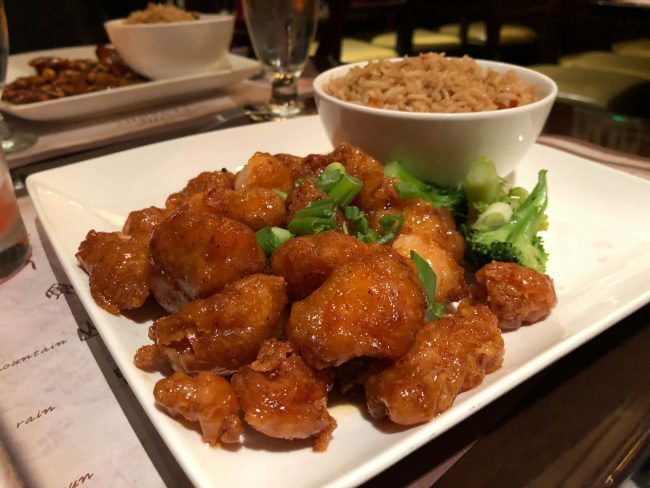 Feast on favorites as honey-sesame chicken, peppery shrimp, and fried rice. 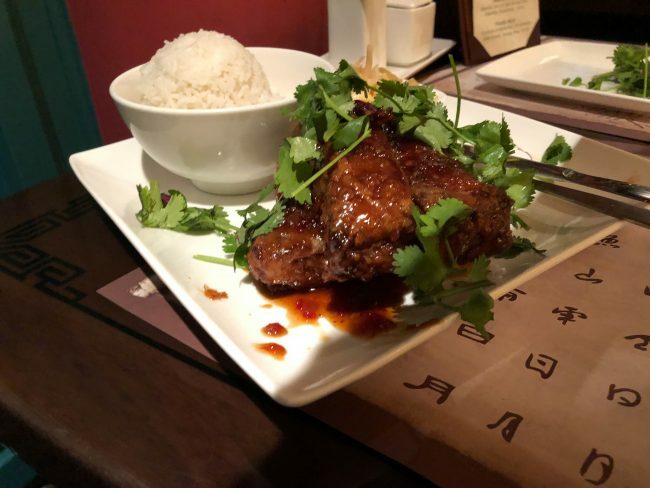 Here you can also try more traditional Chinese dishes like grandma’s pork belly or roasted duck salad. 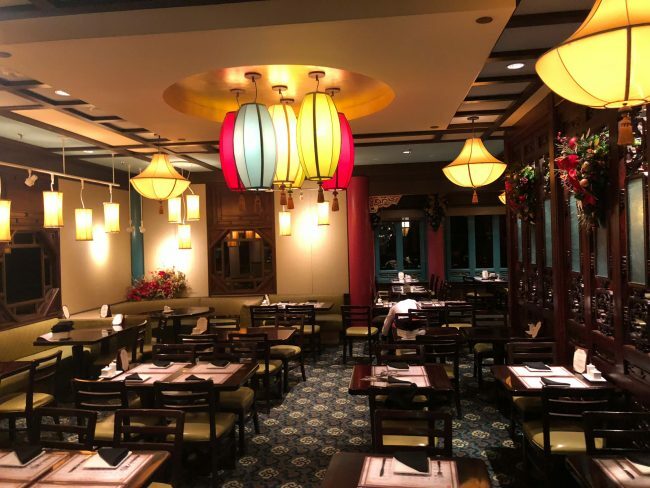 If dining at the end of the night make sure to request a table by one of the windows for a sweeping view of the World Showcase Lagoon promenade. Pair your meal with such refreshments as blackberry-jasmine iced tea, fruit smoothies, iced coffee and iced chai tea. 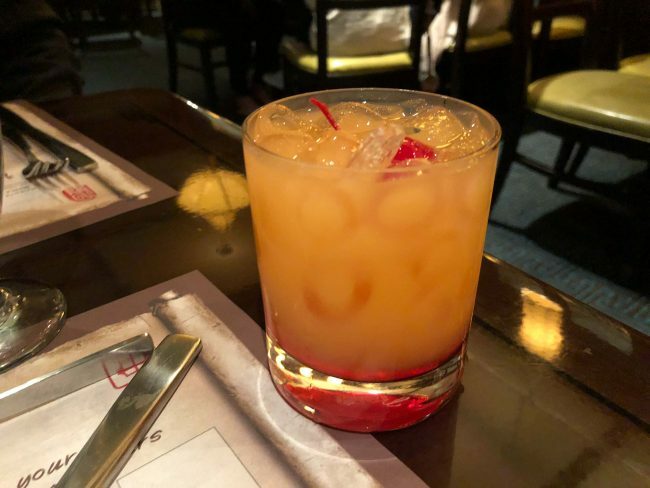 Guests ages 21 and over can enjoy frozen daiquiris, wine, beer and such specialty cocktails as the fruity drinks like the Shanghai Fusion and South Sea Breeze. This was the Southside Breeze, Very Tropical and Very Yummy! 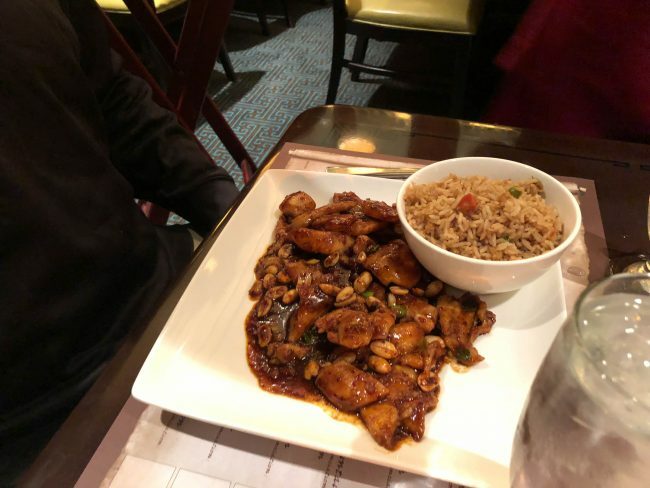 And I got the Orange Chicken, My Fave! 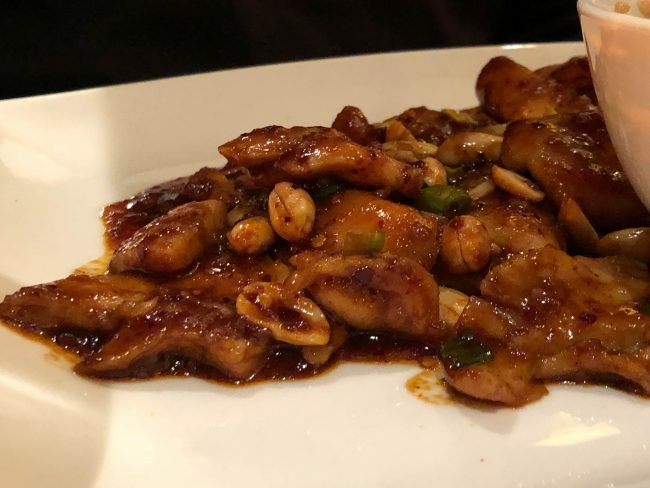 The restaurant has an option for regular or spicy so I did the spicy, and it was great! 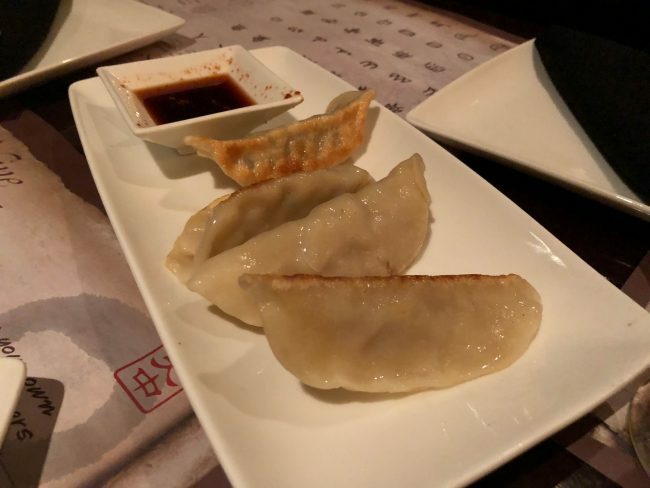 If you’re Spending a day at Epcot, and you love chinese food my recommend getting a reservation (make sure to ask for a window seat) just before the Illuminations Show starts, so you can watch the Fireworks with your dinner, its a great experience! To make a reservation you can use your Disney App, or call (407) 939-5277!